Behind the Expo 67 Logo | Shelby White - The blog of artist, visual designer and entrepreneur Shelby White. The following logo’s are a few from past World Fair’s with the exception of the Shanghai 2010 logo. 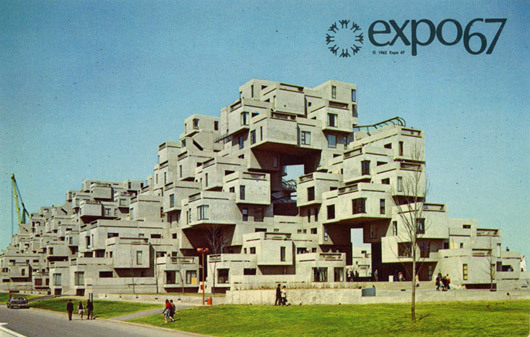 You can see that the Expo 67 logo stands out a whole lot more than the others. Aside from incorporating the Chinese symbol for world into it, the Shanghai 2010 logo is in my opinion quite weak. What do you think? When looking at the pavilions it is clearly visible of how each intertwines the theme ‘Man and his World’. The perfect example is the Habitat 158 living units. If you’re interested in seeing floor plans or a whole series of images, look here. Each is built in such close quarters; it’s all about being a village. I don’t know about you, but I couldn’t take living in such a small place. I guess cartoon characters represent world peace? By looking at this it seems as if their approach was to target a different audience than the other World Fair’s did. The Expo 67 logo was elegant yet the Shanghai 2010 logo is quite playful and as you pointed out, the mascot (horrid) is even more playful + cartoony. Maybe their reasoning was that it’s this younger generation that will be creating and changing the world. On top of all that though, the Shanghai logo lacks in every which-way possible. 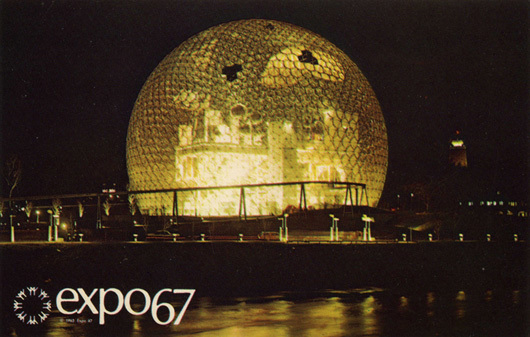 expo67 is def the best….expo86 is not workin for them how they tried to kern the type good blog, keep it up! This is fantastic information. I’m working on a project about branding and visual identity at international expositions from 1958 to 2015 in addition to running ExpoMuseum.com and The World’s Fair Podcast. 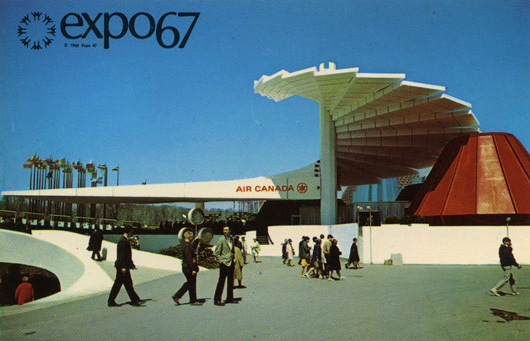 Expo ’67 is one of my favorite logos, as well…. 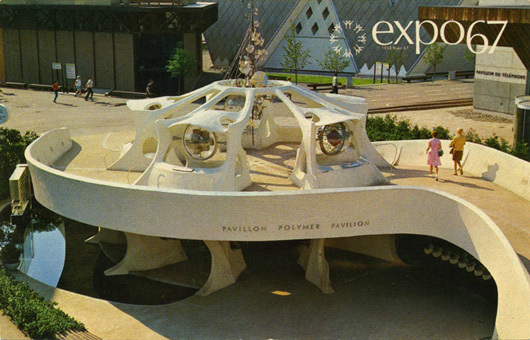 as was Expo ’74’s mobius strip. 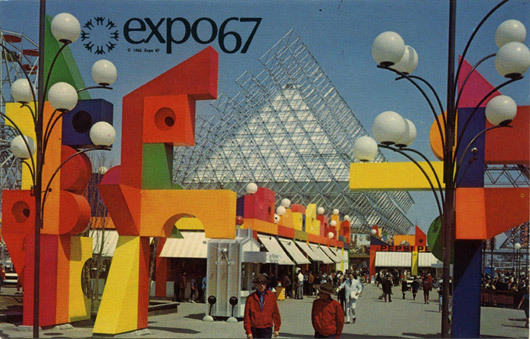 Expo 2000’s was quite innovative in that it changed shape and color depending on context. Voting has ended since I created this… and Expo 2012 has since changed their mascots. wow, that 67 logo is pretty nice – i had never seen it before. I agree. 67 is clean simple elegant timeless beautiful. Others weak in their various ways are perhaps trying to incorporate too many little themes rather than one grand and unifying idea. But mightn’t this be symptomatic of our touchy feely all inclusive PC world, nannying chivvying guiding everyone along rather than inviting them to sign on to something inspirational.